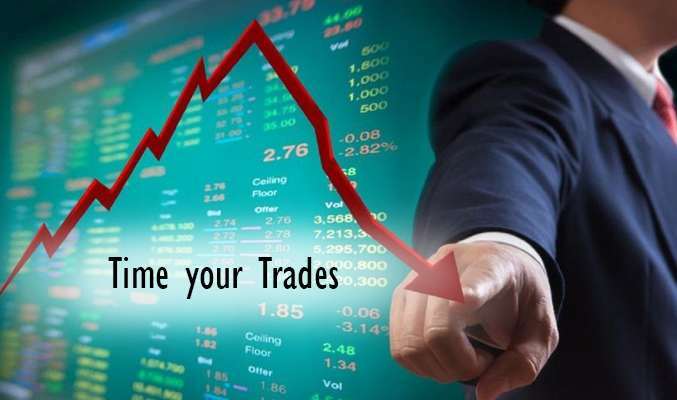 How To Time Your Trades? So, if you’re starting in the game – or, have been here for long – instead of trying to time your trades in hope to hit the optimum mark, the focus must remain at working in accordance to your exact at-large trading strategies. After all, the key to successful trading is acting proactively. When you’re reacting to the market movements, you will always be one step behind the game. This also means that you will miss many opportunities. But all being said, in the end, your strategy itself must be devised and deployed around the micro and macro trends. This usually takes us back to our original questions here- how do you think the market will act today, the next day and the week after? When do you think the price will peak and reverse? How long do you think the bull or bear run will last? So, although you shouldn’t entirely and obsessively focus on it, you should very certainly be perceptive of time and market. Again, it’s difficult– almost impossible for someone who’s just starting in the game. And this is where the technical proficiency and understanding of Bollinger Bands trading come to play a big role. In layman’s term, Bollinger Bands is an analysis tool that helps one identify the market movements and know when the market is overbought or oversold. It helps realize market volatility and possible reversals, which eventually unveils many opportunities for well-timed trades. Of course, leveraging the real power of this tool doesn’t come easy; it demands learning and rigorous application. So, if you are to ace your technical game, opting for a good Bollinger Power trading course is an essential step. Once you’re well acquainted with the fundamental and advanced scope of the tool, you can move ahead. Following, with adept technical aptitude, you can identify the trend, calculate the reversal timing and then time your trades. Bottom line is, if you want to be a successful stock trader, you must be proficient in technical analysis.